Healthy Loser Gal: I *love* this quote! Leonardo? I"M the one that said that? Get your facts straight!!!! 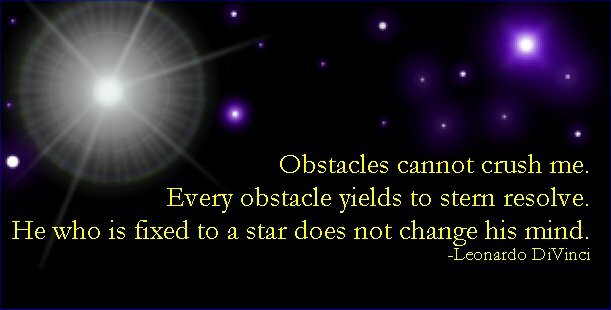 Obstacles are what make us stronger! I can't believe Leo plagairized off of Jack! Purest form of flattery, Jack! I like it. No, I LOVE IT! And so very pertinent to me right now. Thanks, lady! Would you believe I have never heard this quote before... It is GREAT!